If you, like so many of us, wish you had more storage space in your kitchen, consider one of the many movable kitchen storage options available to expand your kitchen’s storage potential. Movable, in this context, is defined as anything that is not a permanent part of the kitchen – any item that can be taken down or moved with relative ease. Movable kitchen storage can take a variety of forms. It includes, but is not limited to, furniture. Here are several options to consider. This movable kitchen storage option comes in a variety of materials from plastic (not recommended) to wood to metal. Choose one that coordinates with your kitchen’s style and add to the aesthetic quality of your kitchen as well as its storage capacity. Our kitchen in Abu Dhabi was quite small, so we added this lightly stained set of wooden shelves to house cookbooks, small appliances, and a variety of other odds and ends. Frequently used items were kept within easy reach without cluttering the counter tops. 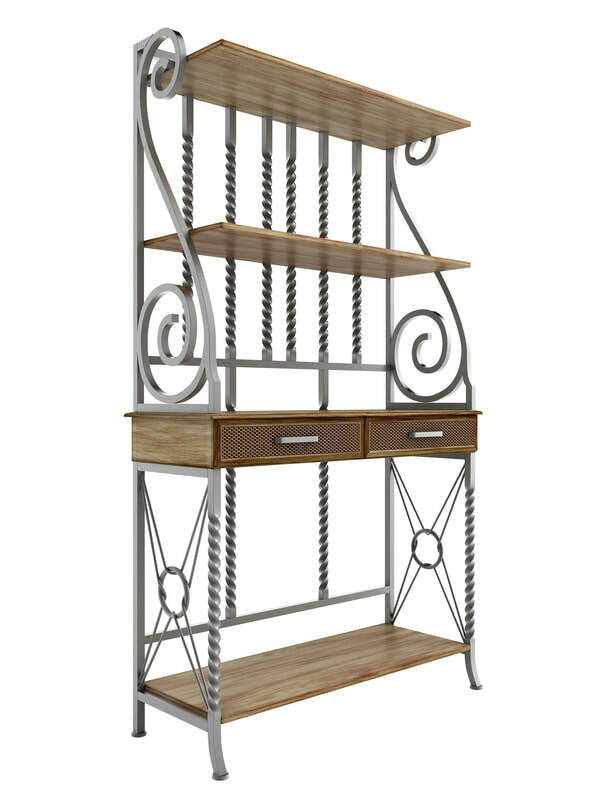 Like freestanding shelves, rolling carts come in a wide variety of materials and styles. Sizes vary as well. The nice thing about this movable kitchen storage option is that it is truly mobile. In fact, they come on wheels! This feature allows you to easily move the cart to wherever you want it and then stash it out of the way when not in use. Rolling carts are truly versatile. The top is typically safe for use as a cutting surface. Many have shelves underneath. Some have drawers as well. Add hooks or hanging rods to the sides to extend your cart’s storage capacity. Use these to hang utensils or towels within easy reach. In the same kitchen, we kept the twin rolling carts shown here tucked in a little used exterior doorway. We rolled them out into the center of the kitchen when additional work or serving space was needed. We also used them in our dining room to serve drinks or desserts from when we had dinner guests. On occasion, my husband even rolled one out to the living room so that he could watch television while peeling or chopping vegetables. I used baskets for storage on my carts because I like being able to grab the whole basket and take it with me if I need to. My baskets housed kitchen towels, dish cloths, extra pot holders, and wraps (aluminum foil, plastic wrap, etc.) – all things I didn’t have room for in my limited drawer space. In addition, one basket held onions, potatoes, and/or garlic, depending on the week. While less mobile than a rolling cart, a baker’s rack still represents a form of movable kitchen storage. The original purpose of a baker’s rack was for placing items fresh from the oven to cool – hence the name. Traditionally, they were made of metal or wrought iron since the wire shelves allowed for more effective cooling. Nowadays, many have a wooden component as well, and their role has expanded to include general and specific kitchen storage (such as wine storage) as well as display. Baker’s racks are generally quite decorative, so they can really add pizzazz to an otherwise drab kitchen. The storage they provide is typically open although some do include a drawer or cupboards. They are perfect for storing specialty kitchen items close at hand without cluttering up prime kitchen cabinet space. In addition, they can be used to show off attractive serving pieces or other decorative kitchen items. A common use is as a bar since many have built-in wine racks. The possibilities are endless, so be sure to consider this movable kitchen storage option. This is exactly what it sounds like, a cart designed to hold a microwave oven. Some have wheels, some do not. Most have cupboards and some include a drawer. Microwave carts are another versatile option for movable kitchen storage. If you are big on microwave dinners, you could use a microwave cart to create a quick cooking work zone (see kitchen work zones). They also make handy drink zones. Store the coffee maker on top and all your supplies, including cups, in the cupboards below. Of course, you can store other items besides a microwave. My mom used one to store cookbooks (among other things) for many years. Pie Traditional pot racks hang from the ceiling, but you can get ones that mount to the wall as well – some as simple as a bar with hooks hung over it and some that extend below a wall shelf. Some chandeliers are even designed to double as pot racks. Before hanging your pot rack make sure the area from which you plan to hang it (wall or ceiling) can support not only the weight of the rack, but also the weight of the pots which will hang from it. A pot rack hung beneath a light fixture can significantly decrease the available light in a room. Try to avoid this. If you have a low ceiling, headroom can be an issue, particularly for taller people. Pots should be hung at a level that can be reached by the shortest (adult) cook in the house. Pot racks are dust collectors, and the dust that inhabits kitchens is often of a very grimy nature due to the grease and humidity that are so common there. The rack, and any pans which are hung from it, will need regular cleaning to keep from becoming an eyesore and potentially damaging the surfaces. If you’re considering a pot rack as a moveable kitchen storage option, please take the time to do your homework in order to avoid potential problems and to get the best storage solution for your needs. First used by Pennsylvania Germans before the invention of the refrigerator, pie safes are a charming example of movable kitchen storage. A pie safe is a large wooden cabinet with punched tin doors designed for storing pies and other baked goods. 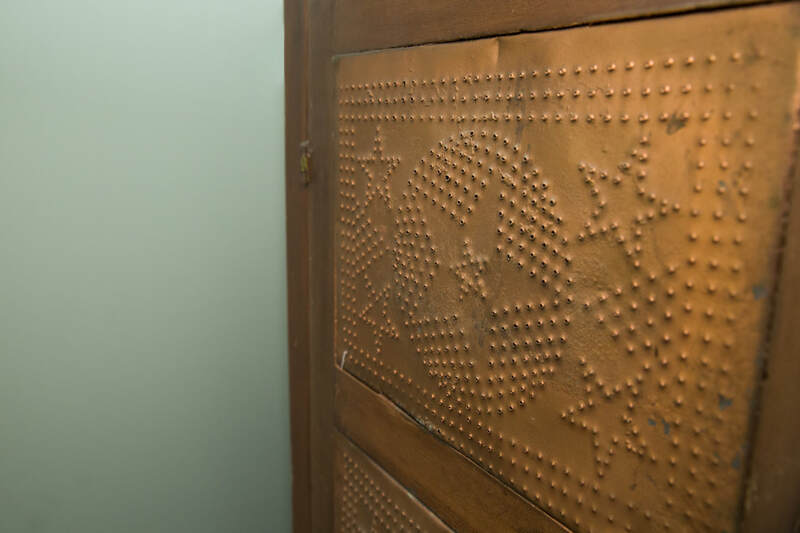 The practical purpose for punching holes in the metal was to allow for ventilation, but the punches are typically arranged in a decorative fashion to produce an image such as an apple, a bundle of wheat, or a decorative geometric pattern. Antique pie safes can sell for thousands of dollars, but you can find a reproduction for significantly less. You can even download plans to make your own. Don’t let the original purpose limit what you store in your pie safe. As spacious cabinets, they can provide ample movable kitchen storage. Use one as a pantry, store small kitchen appliances, or stash items that are only used for special occasions such as platters or other serving pieces. Wall Mounted Storage may take a variety of forms. It can include simple wall shelves, hooks, wall mounted spice racks, hanging baskets or bins, cubbies or cubes designed to be hung on the wall, or specialized shelving such as a wine and stemware rack. Another type of wall mounted storage to consider is a grid system or pegboard from which you can hang a variety of baskets, bins, and hooks for storing just about anything imaginable. 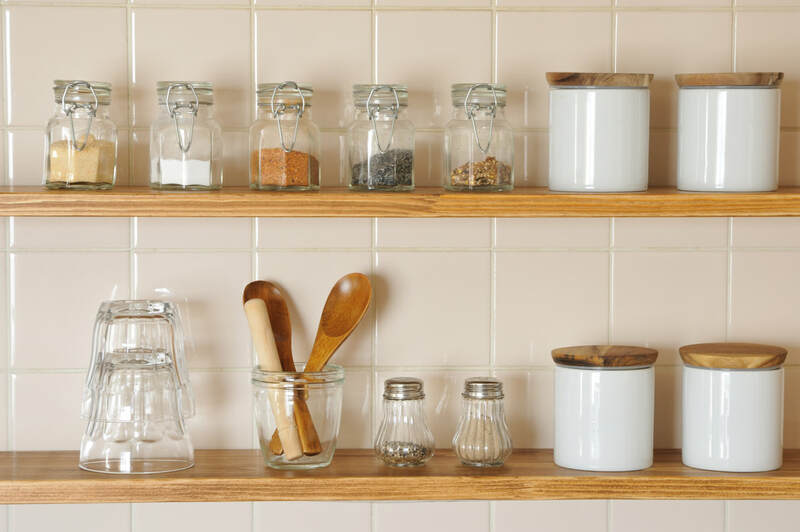 Magnetic strips designed to be attached to the wall are great in the kitchen for holding knives, metal handled cooking utensils, or magnetic spice jars. Be sure to explore the numerous types of wall mounted storage options available when contemplating how to extend your kitchen storage. Determine what it is you want to store, and this will help you decide which of these movable kitchen storage options will best meet your needs. As you can see, there are numerous options available for movable kitchen storage. Look for ways to incorporate one or more in your kitchen and expand your storage space.